We have returned from a fantastic few days in Amsterdam at the ISSA Show, meetings lots of new companies from around the world. Many of Spinaclean’s new innovations were displayed for the very first time at Europe’s biggest cleaning show. We were proud to introduce the brand new SkyVac Solo, a self contained generator and SkyVac constructed on its own chassis. There is nothing else on the market like it simply pulling the systems together as one. 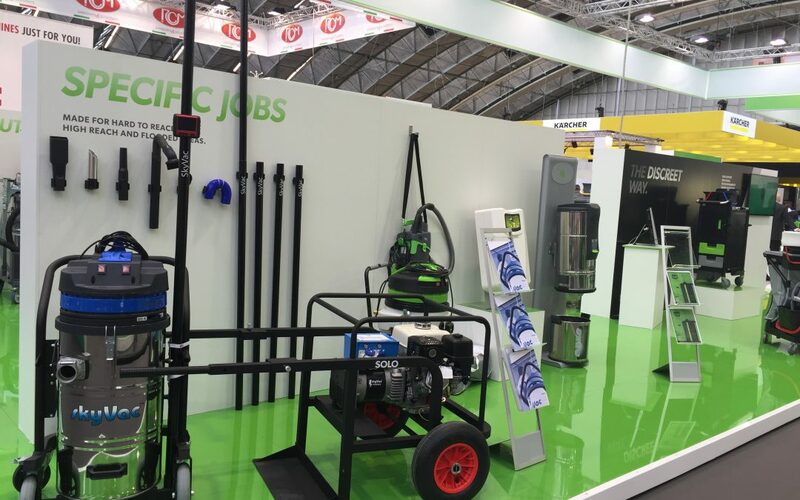 Also on show were SkyVac components that make up what will be the first officially certified fully anti static ATEX rated high level cleaning system. Language barriers were not a problem when the solution to high level cleaning is so obvious.